Newbie to Investment Property? 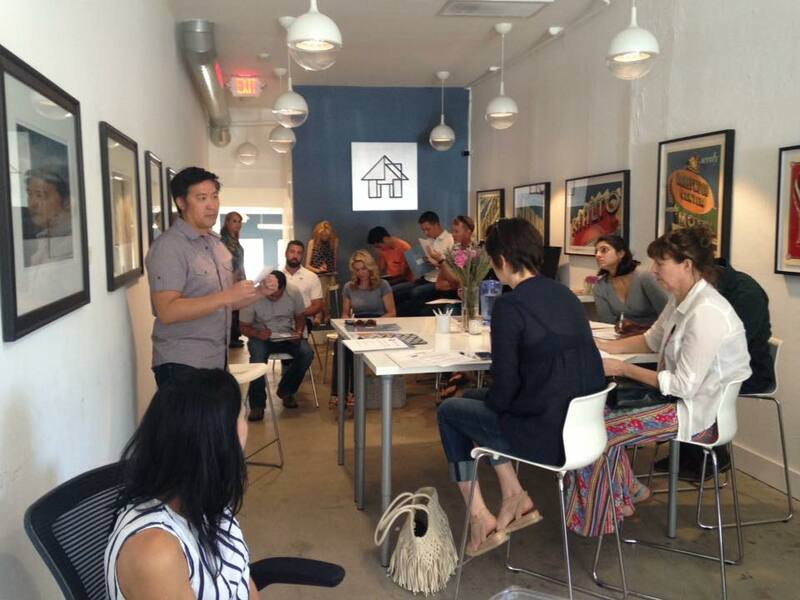 Learn How to Value Rents and Property at this Invaluable Workshop! 2 Master Bedrooms/2 Bonus Rooms/4 Bathrooms and a 2 Car Garage! 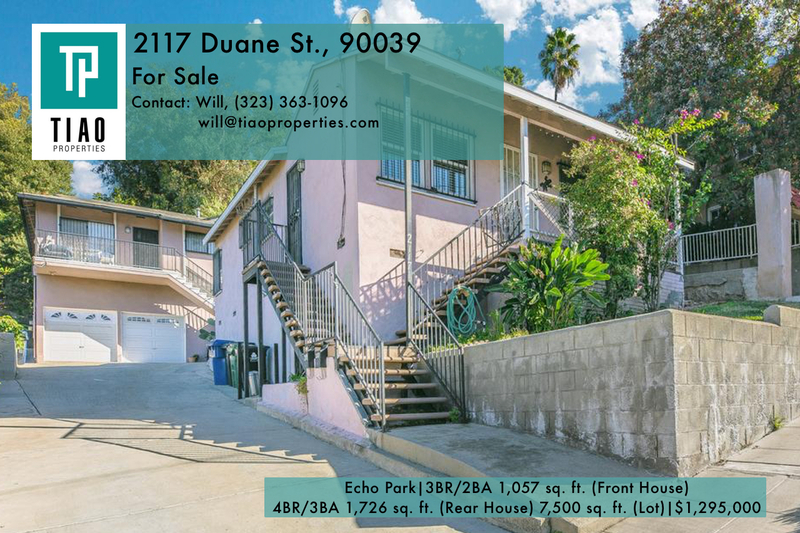 4 stories in Echo Park! Gorgeous views of downtown LA! No Matter How Long You’ve Been Investing, You Need to Join Us for our 1031 Exchange Meetup! ***Just 5 seats left! *** Know what a 1031 Exchange is? 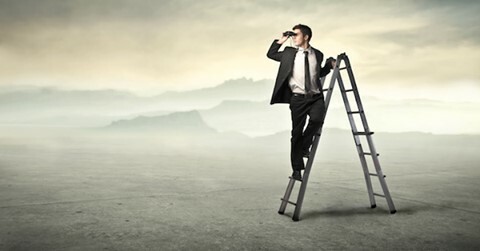 Do you know how the new tax laws will affect it? Join us for our Monthly LA Multifamily Investors Group Meetup, where we'll discuss 1031 Exchanges. Space is limited, so reserve your seat now! Two bedroom/two bathroom, 1,300 sq. ft. pet-friendly Spanish duplex, Hardwood floors, new appliances including washer/dryer. Custom marble and tile, private patios, central air. Includes Parking. Near 101, 10, and 110. $3,400/mo. 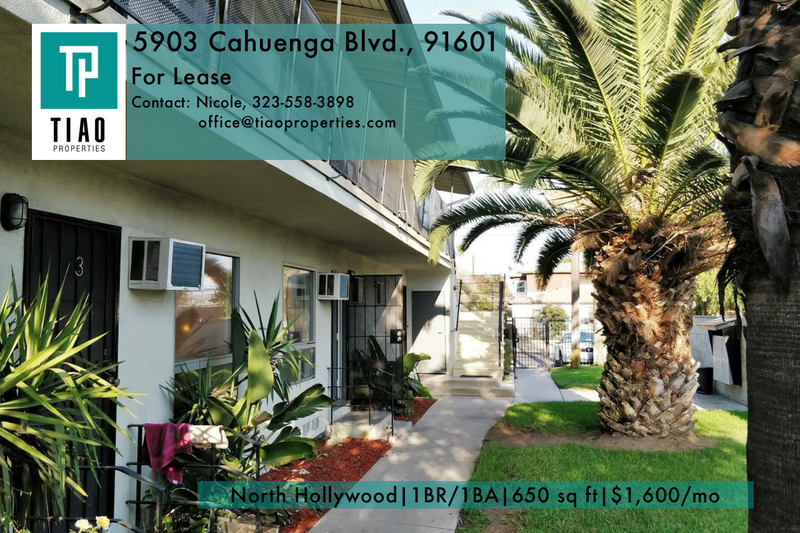 5903 Cahuenga Blvd., $1,6500: 1BR/1BA 650 sq. 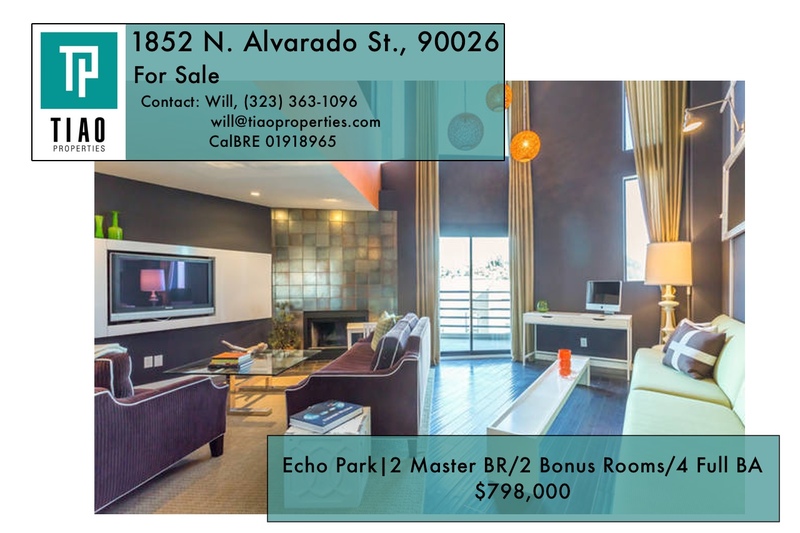 ft. pet-friendly apartment near NoHo's Arts District, close to Burbank. New hardwood, appliances, granite. Includes parking. Two large houses on one 7,500 square-foot lot in Echo Park. This income-generating property is perfect for potential owner/user or a savvy investor! PRICE DROP! 424 N. Rampart, 90026, $3,295: Remodeled 3BR/BA 1,063 sq. ft. pet-friendly apartment Five minutes from downtown LA! New floors, appliances; washer/dryer. Parking included. 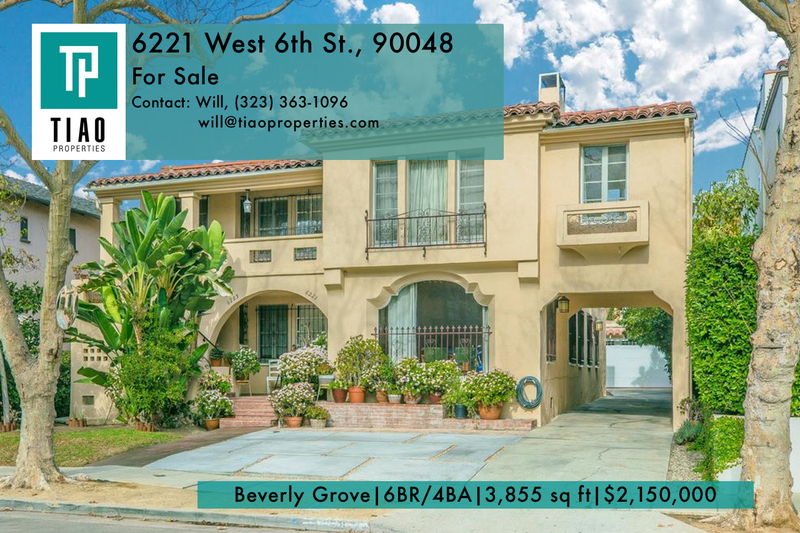 For Sale - 6221 W. 6th St., 90048, $2,150,000: Remodeled Spanish-style duplex in Beverly Grove; tenant-occupied with strong income and upside potential. 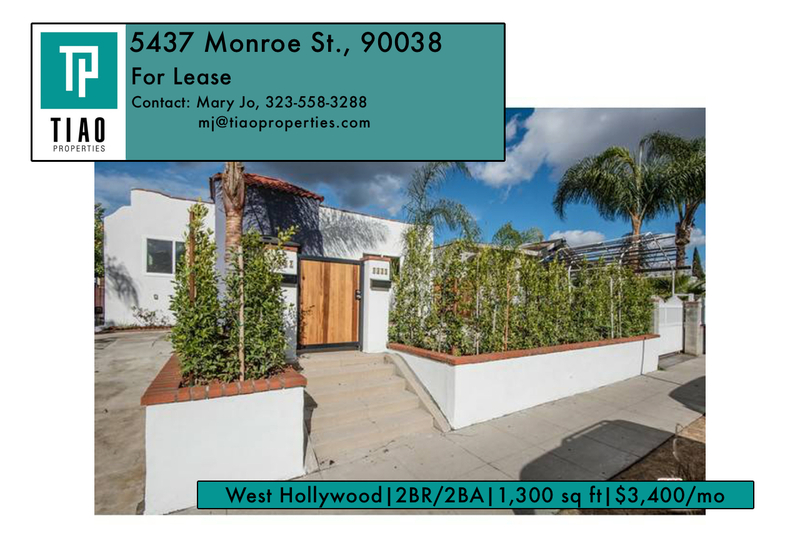 Tiao Properties' Will Tiao, closed on this, $3M home in West LA! 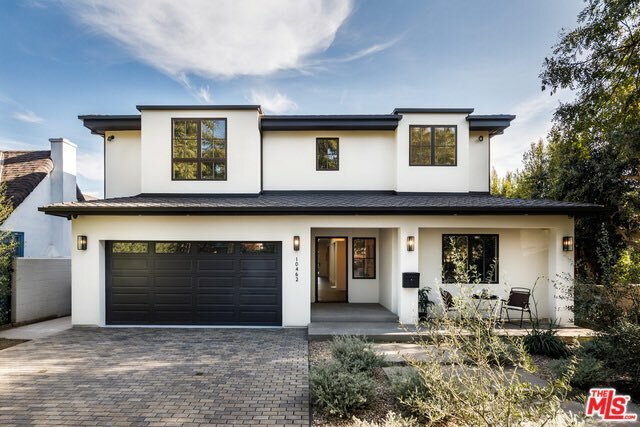 Will found this fantastic property — new construction, 4,000 square feet with 5BR/6BA pool — in a week and closed in 25 days. 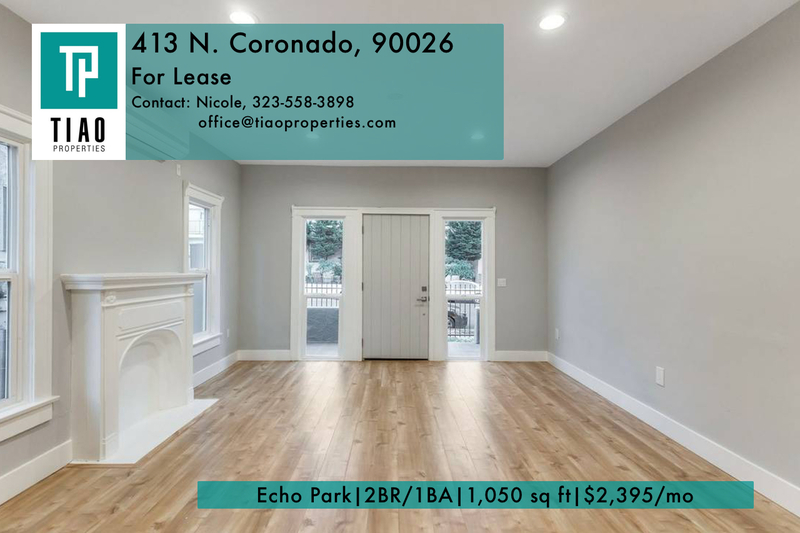 413 N. Coronado, 90026, $2,395: Brand new 2BR/1BA, 1,050 sq. 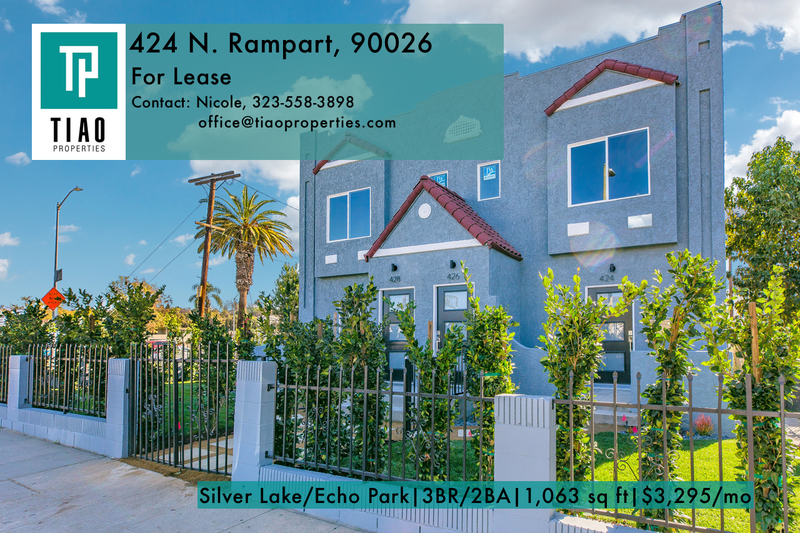 ft. pet-friendly apartment in Echo Park! Includes washer/dryer, NEW stainless steel appliances, hardwood, A/C and heat. Parking included. Close to 101!